Personal Website of Deb Goodridge, National Fundraising Representative for LaTeeDa. Previously known as Celebrating Home. Call us if you have any questions on our fundraisng program. Have you been searching for Celebrating Home Candle Fundraisers? Home Interiors Fundraisers? 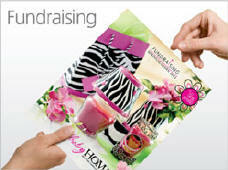 Or Home & Garden Party Fundraising? In 2015, Celebrating Home introduced a new name for our fundraising division and our candle fundraising program is now known as LaTeeDa! The candles and fragrances you've loved for years are offered in a variety of candle styles, aroma beads and wax melts. LaTeeDa has developed one of the leading fundraising programs available nationwide to help organizations succeed in offering an affordable 50% profit, superior quality program that will be loved by your supporters, be simple and easy with free pack-by-seller, and will become a fundraiser you'll want to offer every year! Today, as LaTeeDa Fundraising, we have blended “the best of the best” to create the finest fundraising opportunity for any organization. Along with an unsurpassed product line, LaTeeDa Fundraising offers a unique combination of the very best candle and fragrance products, variety of brochures, and customer service support in the fundraising industry. Whether you are looking for a simple and easy 1-page brochure to a larger all-inclusive brochure to offer more variety, LaTeeDa Fundraising may offer you just what you are looking for. Our LaTeeDa Fundraising Programs are one of the few programs today that can offer a 50% profit opportunity to raise money. More importantly, it could very easily be the right program to help you achieve a very successful fundraiser this year and for years to come! Learn more about our fundraising programs, view our current fundraising brochures, request free information, or get started right away! LaTeeDa Fundraising is the best opportunity in the fundraising industry! Click on the fundraising link above to learn more about our newest fundraising programs, to view our current brochures, or to request free information. Whether you are seaching for Home Interiors or Celebrating Home, you and your supporters will surely be thrilled to have the opportunity to purchase the candles they have loved for years. Information is free and there are no costs to get started! If you searching for fundraising ideas, don't miss the opportunity to learn more about our programs. Request an information packet today. You'll be glad you did! Discover what LaTeeDa Fundraising can offer your organization! Click on our new fundraising webpage below. LaTeeDa Fundraising still offers the candles you've known as Celebrating Home and Home Interiors. In addition, our program also offers wax melts, aroma beads, and cutting boards. Your organization can select from a variety of brochures. If you want to offer your supporters a greater variety of items to purchase we recommend our All-Inclusive brochure. If you prefer to offer a simple program you can mix and match any of our three 1-page brochures. Our Classic Home Candles, Wax Melts, and cutting boards are available on separate 1-sheet brochures. You choose the brochure of combination you feel will work best for your organization. Call us at 860-384-3691 and I'll be happy to review the programs, answer any questions you, and help you through each step to achieve a very successful fundraiser this season. With no upfront costs and products that will be appreciated and easy to sell, you could be well on your way to achieving your most successful fundraiser ever! Visit the webpage for more than 40 additional fundraising brochures including Coffee, Christmas and Spring Catalog Shoppers, Fit & Fresh, Cookie Dough, Home Decor, Jewelry, Tumblers, Snacks, Chocolates, and more! To become THE company known for enhancing peoples’ lives spiritually and financially through serving and supporting our Designers, customers, employees and communities. To provide opportunities to those seeking fun, recognition and financial rewards by delivering quality products, world-class service and support in a spiritually fulfilling and loving family atmosphere. Garden of Roses team of Designers! If you are interested in learning more about becoming a Home Party Designer or a Fundraising Representative please call me. Please review the information available on my website and then call me with any questions you have. I'd be more than happy to help you! I welcome the opportunity to invite you to join our team of Designers. Copyright © 2004 Home Party Opportunities. All Rights Reserved. No content may be removed and/or used without prior written consent. This website is not the official Celebrating Home corporate website. This website was created by an Independent Designer. All of the products shown on this website are the property of Celebrating Home. Celebrating Home is a home party plan business and the information contained within this website is to support the party plan concept.